From New York to Texas, to high in the Austrian Alps, from England to Hollywood, Bill Cole has always remembered one thing. He remains first and foremost, a coach. Bill has been coaching people for as long as he can remember. He proclaims, "There is nothing more fulfilling for me than seeing my clients come full circle, to find the mental power they always possessed, but never realized." He was the first person in the world to earn an undergraduate degree in sports psychology. He also holds two graduate degrees in the field, has numerous academic honors, and is a member of The American College of Sports Medicine. Since the 1970’s Bill has been a leader in the world of "mental game coaching". The media contacts Bill weekly for quotes. His imaginative, visionary work has been profiled hundreds of times in both the electronic and print media, ranging from MSNBC.com, Success Magazine, The Washington Post, Corporate & Incentive Travel magazine, Golf Magazine, The San Francisco Examiner and Chronicle, Yahoo! Sports, The San Jose Mercury News and many more. Bill has appeared as a psychology expert on the psychology of human-animal world records on the Animal Planet TV series for the Discovery Channel. William B. Cole Consultants, the company he founded in 1997, has provided mental game coaching services for individuals and/or teams in over 60 sports, plus dance, music, bridge, poker and blackjack at the youth, amateur, high school, college, and professional levels. Sports psychology coaching and consulting are offered through his Sports Psychology Coaching website, which also provides detailed information and articles related to sports psychology. He has been the Mental Game Coach to a top ten world junior water-skier from Mexico, a top-ranked junior figure skater from Australia, a top-30 world ranked tennis pro from Israel, a winner of the Pan-American water skiing championships, a pro water skier, numerous college golfers, junior golfers who played in the World Golf Championships, pro golfers, High School quarterbacks and pitchers and England's number one female mixed martial arts competitor. In the sport of tennis alone, his students have earned hundreds of rankings, honors and tournament titles in every conceivable age level and division in four sections across the United States and internationally. He has coached seven National Champions. Bill is the Founder and President of The International Mental Game Coaching Association (IMGCA), the leading worldwide organization dedicated to advancing the research, development, professionalism and growth of mental game coaching, which trains and certifies mental game coaches worldwide. 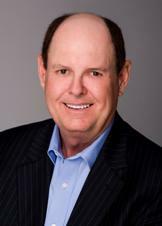 In 2007, Bill Cole co-created the television show pilot, "The Mental Game". He has been involved in post-production of the pilots in the studio as a Producer, and is Consulting Producer of a new Hollywood film, La Ultra - The High. Bill Cole offers media coaching and presentation coaching through his Presentation Skills Coaching website. 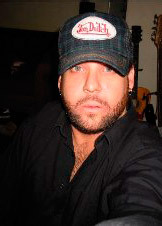 John A. Cole has over 24 years of experience in the entertainment industry with numerous acting, producer, writer and director credits in theater, film and television. John began his entertainment career as a stage actor and standup comedian in the mid 1980’s in San Diego California, securing lead roles in local and state theater productions as well as performing standup comedy at the world famous Comedy Store, Improv and other comedy clubs. John also participated in show case "comedy nights" at the college and university levels as well as recognized national hotel chains throughout the Southwestern United States. In 1998 John became a member of a sketch comedy / improvisational group and later as a member of the group's writing staff and shows producer. In 2006, Mr. Cole completed his first feature film as a principal player and received his SAG eligibility. In 2007 he received his first producer credit for a feature film, which included all phases of both location and post production, numerous contributing hours assisting the director and editors with final film and audio decisions in the studio. 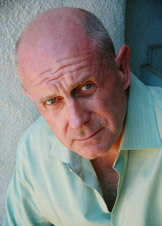 John co-wrote his first television pilot in 2007 with additional writing credits in 2008 and 2009. His television directing debut came in 2008 with the television pilot "The Mental Game" and later in 2009 directing the television pilot "The Mental Game of Golf". John also co-directed the "Mental Game of Tennis" pilot in 2009. He also continues to co-write, produce and oversee the post-production of these pilots. In 2009, Mr. Cole recently completed his first voice-over animation character for an animation feature film pilot, continues to train as an actor with Brian Reise studios in Hollywood, California and is currently finishing his first feature film screenplay and co-creating his fourth television pilot. Jamie Mitchell has been a performer and composer of music since the late 80's. He has played lead guitar, produced and composed for such bands as Scaterd Few, TRANSULTRA and Human Rights (Featuring HR of Bad Brains). While he continues to play guitar and compose, he has also developed a passion for the visual arts, namely filmmaking. Ed Marx, editor of "Swimming With Sharks" and "Jeepers Creepers", introduced Jamie to film editing and guided him early in his career. Walter Murch's In the Blink of an eye: A Perspective on Film Editing also influenced Jamie and helped him develop his expertise. Jamie began his editing career in earnest cutting trailers ("Ladder 49", and "The Life Aquatic" with Steve Zissou and many more) for Disney for two years. Jamie is now founder and CEO of BCF&M - Beachwood Cottage Film and Music. Since then he has been involved in the creation of over two dozen films and TV shows as director, post supervisor, editor, producer and composer. Included in his work history are the films "Chicken Little" and "National Treasure", and his television credits include the award winning "The Shield". Jamie recently won an AOF/WAB Award for the Best Soundtrack Feature for the film "The Red Canvas" (2009) and also an "Action on Film Award" for the Best Action Sequence Martial Arts Feature for the film "The Red Canvas" (2009). Beachwood Cottage Film and Music is a comprehensive production and post-production facility located on the "Lot", a major motion picture facility in the heart of Hollywood. Staffed with a dedicated and talented crew, Jamie and his company have the ability to deliver a "turn-key" project from script to screen utilizing the highest standards of industry compliance. Visit Beachwood Cottage Films website. William B. Cole Consultants name, design and related marks are trademarks of William B. Cole Consultants. © 1997- William B. Cole Consultants. All rights reserved.